What are you wearing this year? Are you going as Pumpkin Head, a mummy or maybe even Supergirl? 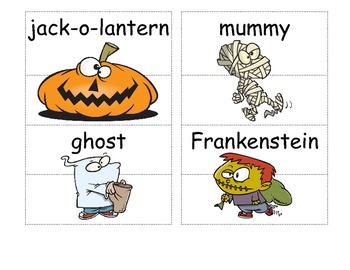 These characters and more appear in this Halloween puzzle set (20) that reinforces thematic vocabulary and provide an entertaining activity for the holiday. 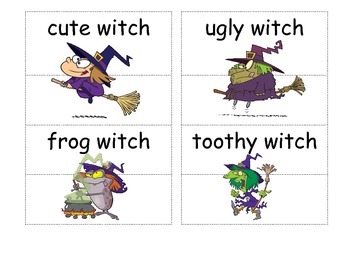 There is a matching "Old Witch" card set that may be used for Go Fish, Concentration or by following the rules for Old Maid. 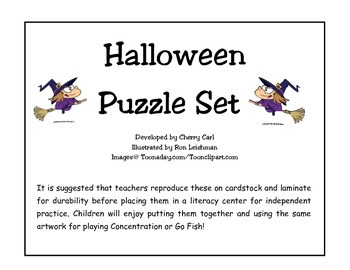 Look for it on TPT courtesy of Cherry Carl and her artist collaborator, Ron Leishman.